Quality at high speed. Our thermal inkjet product line provides precise marks at high speeds to keep your products in compliance and looking their best while reducing the need for waste or re-work. 1. High-adhesion inks - No matter what you’re printing on, our in-house engineering team are experts at finding the right ink for every substrate, including fast-dry inks. 2. Quality at high speed - Our thermal inkjet product line provides precise marks at high speeds to keep your products in compliance and looking their best while reducing the need for waste or re-work. 3. Reduce downtime - No more messy inks and maintenance issues slowing your line down. Our reliable thermal inkjet solutions make them easy to use and a snap to maintain. L1 - Our most compact, high-performance printhead, ideal for primary coding and high speed commercial printing applications such as mailings, promotional coding, lottery coding and serialization. L12, L25, L50 - Thermal inkjet printer provides small character coding while maintaining print resolution at high speeds for both porous and non-porous applications. 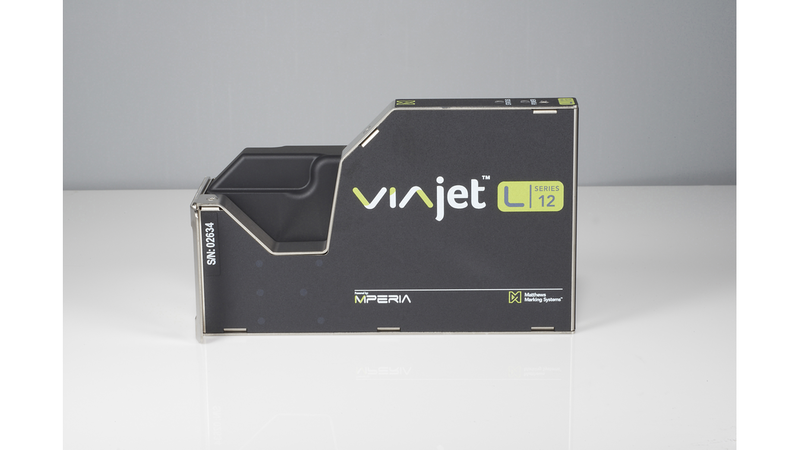 A cost-effective alternative to continuous inkjet and thermal transfer printers.